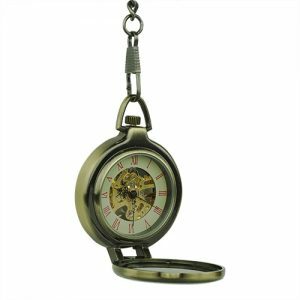 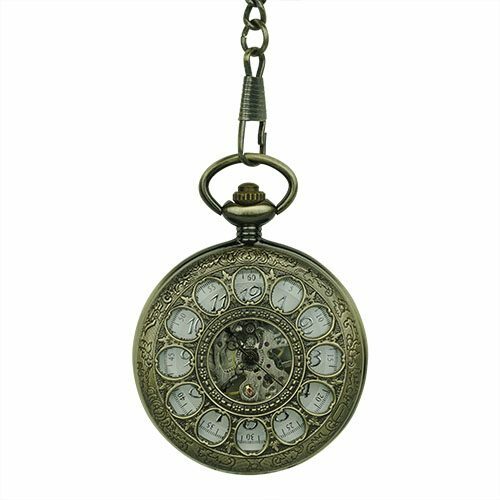 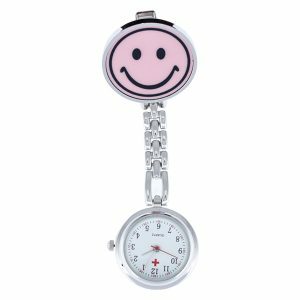 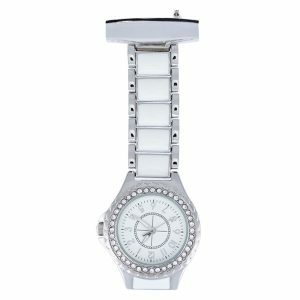 Telephone Half Hunter Fob Watch - Fob & Co. 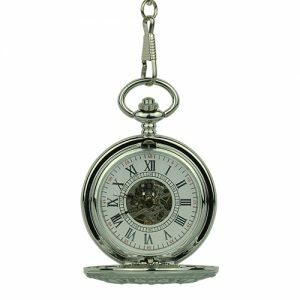 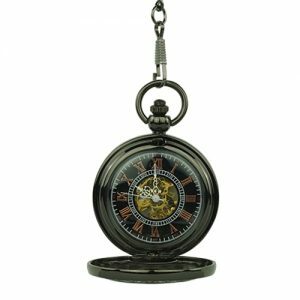 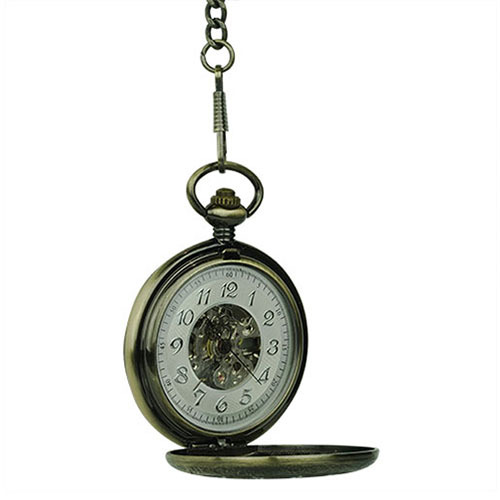 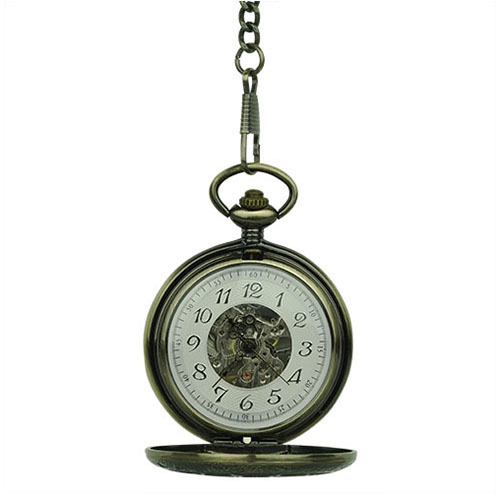 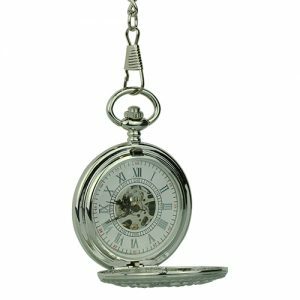 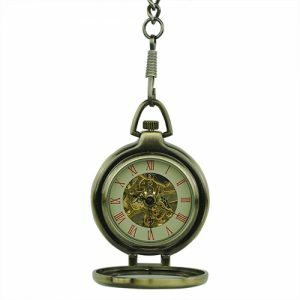 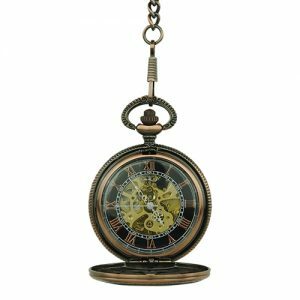 Enjoy telling the time and getting to all your day’s activities in a timely fashion with this handsome pocket watch designed with a crystal window topped by a hollow dial frame that highlights a beautiful silver skeleton with black-finished Arabic numerals against a white background. 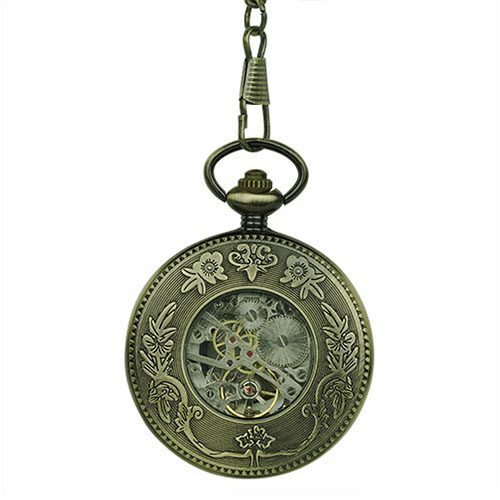 The back cover is finished with vines and has another viewing window to see the gears and mechanisms on this magnificent pocket watch.